Guided rock climbing. Everyone can climb. Bring a group or just yourself and choose your adventure below. Let us climb real rock at Batu Caves. Batu Caves is a limestone hill, located 13 km north of Kuala Lumpur and is famous for its temple and crag for rock climbing. Batu Caves offer residents, travellers, weekend adventurers and seasoned ascentionist a pathway to explore, enjoy and even provides daunting challenges and problems when climbing natural rock faces. This is what we call the OUTDOOR EXPERIENCE! 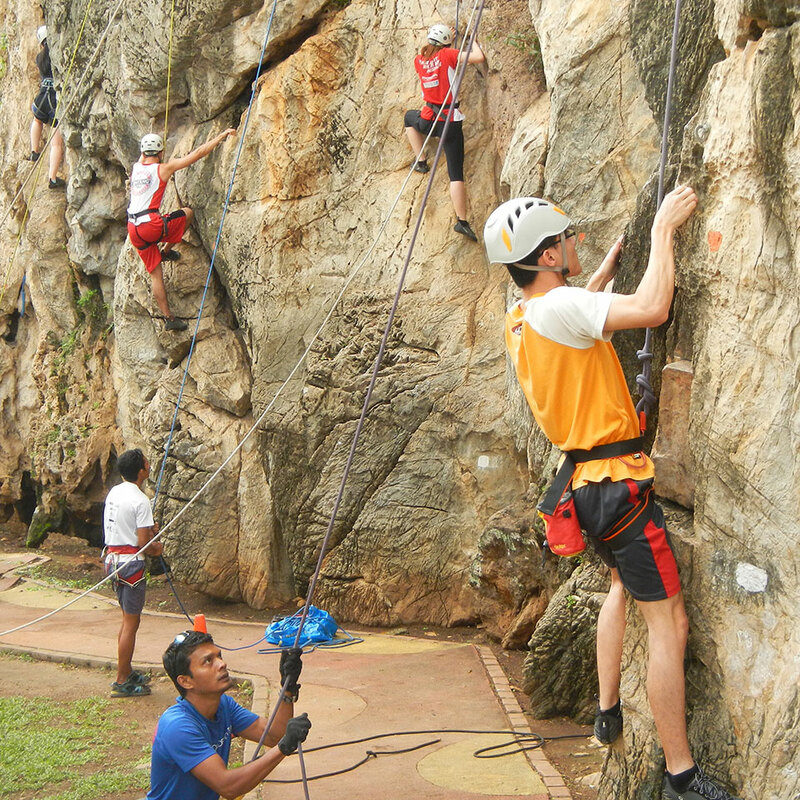 This is half day session that held at the best crag in Batu Caves and is ideal for beginners with minimal climbing experience or outdoor enthusiasts wishing to taste this adventurous sport. Rock climbing is progressing to become more popular and what better way to start early. No previous experience is required for this fun session, all you need is your enthusiasm! Family package available. Kids as young as 5 years old can climb as well. *New* 10 - 15 pax receives a special price! Group rates available, contact us for pricing! For those with prior experience climbing indoors or outdoors and wants to try top-rope/sport climbing on the best crags in Malaysia Batu Caves. We provide the necessary climbing equipment for you and help reduce your hassle of carrying a full set of climbing gears when you travel from abroad. 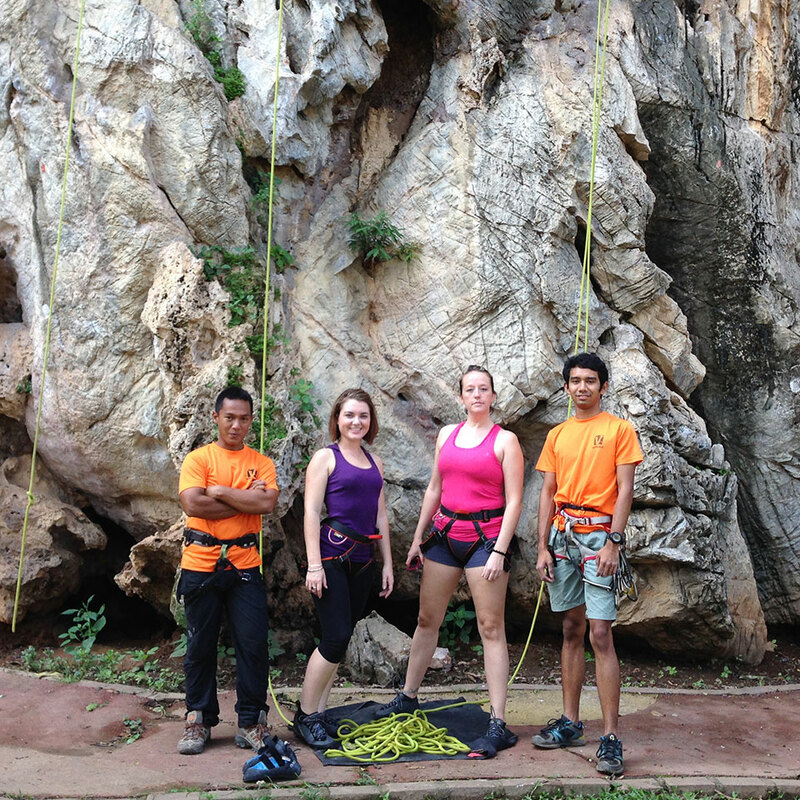 Our guides are passionate about climbing, friendly and experienced at climbing Batu Caves. Our guide can be your multi-pitch or lead-climbing partner as well as your human climbing guide book. We will show you the best and classic routes to climb, which bad routes to avoid and share with you the grade and crux of each route. If you prefer top-roping, our guide can pick and setup suitable climbing routes for you. Whatever your preferences, enjoy your climbs and be rest assured that we have your backs throughout the session. *Updated* Multipitch can be conducted with a minimum 2 pax with guides and climber must be able to climb at least 6a. 10:00 : On the rock! ** Additional rental of climbing equipment is available. 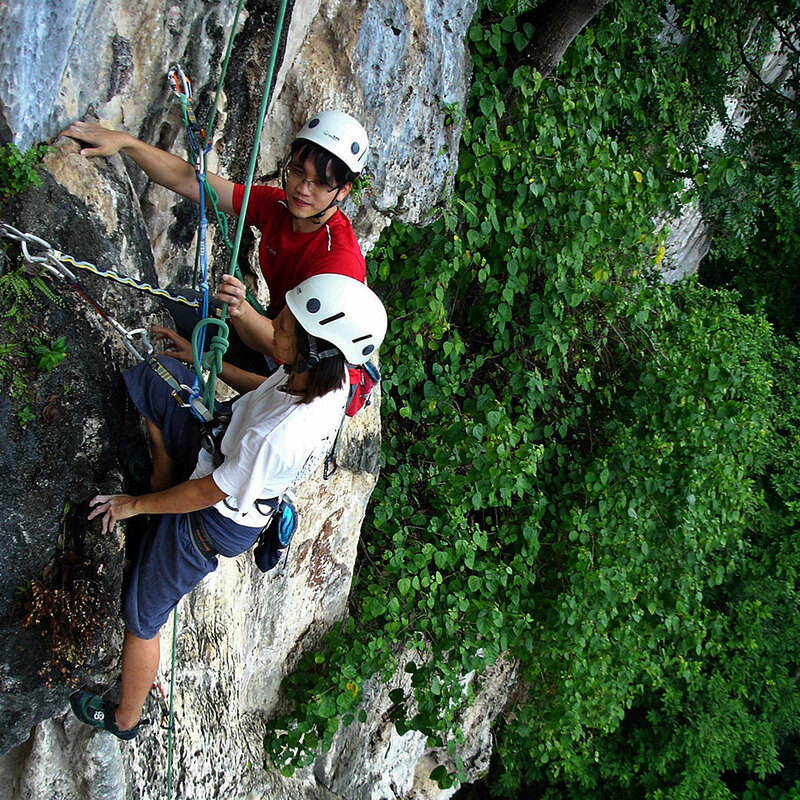 Provide services to experienced outdoor climbers who needs someone to bring them around explaining various routes around Batu Caves. Guides will follow the group and stay with them on the preferred crag up to 4 hours providing details regarding access to crag, topo, routes, anchor condition and anything that you need to know. Full day rates are also available. We can cover all the crags in Batu Caves. Different terms and rates for other climbing spots are available for Bukit Takun (Selangor), Bukit Keteri (Perlis), Gua Kelam (Perlis) and Gua Musang (Kelantan). Our Crag Guides for the respective climbing spots other than Batu Caves would be subject to availability. Requires prior outdoor lead climbing & belaying experience. 10:00 : Climbing non-stop on the rocks! * Additional rental of climbing equipment is available. ** Additional MYR100 for full day (8hours) guiding. *** We encourage you to keep on climbing even when our guiding ends. By submitting your information above, you have read and accepted our PDPA policy. Crag Guiding - For those with outdoor lead climbing experience who just needs someone to explain the crags. Climbing equipment and climbing will NOT be provided. The British Mountaineering Council recognizes that climbing and mountaineering are activities with a danger of personal injury or death. Participants in these activities should be aware of and accept these risks and be responsible for their own actions. Although we take every care to minimize these risks, your booking is accepted by on the basis that you understand and accept the risks involved in climbing and related outdoor activities. Outdoor activity courses and holidays by their nature need to be flexible. The objectives for any course must be taken as an indication of what may be accomplished, and not as a contractual obligation on the part of Freedom Adventures Ltd. Changes in objectives and / or itinerary may be caused by any number of circumstances and you must accept this flexibility, and acknowledge that inconvenience, discomfort, or disappointment may occur for reasons beyond our control. Insurance coverage for personal injury is NOT AVAILABLE for our climbing courses and trips. Vertical Adventure & Equipments Sdn Bhd strongly advice participant to have their own insurance covered for rock climbing. Vertical Adventure & Equipments Sdn Bhd, its owners, instructors, guides and employees are not to be held liable for death or injury resulting in equipment failure due to misuse, manufacturing defect, abuse, or other unforeseeable and/or related failure. Use of our equipment and gear are by good faith only. Transportation and meal will not be provided.